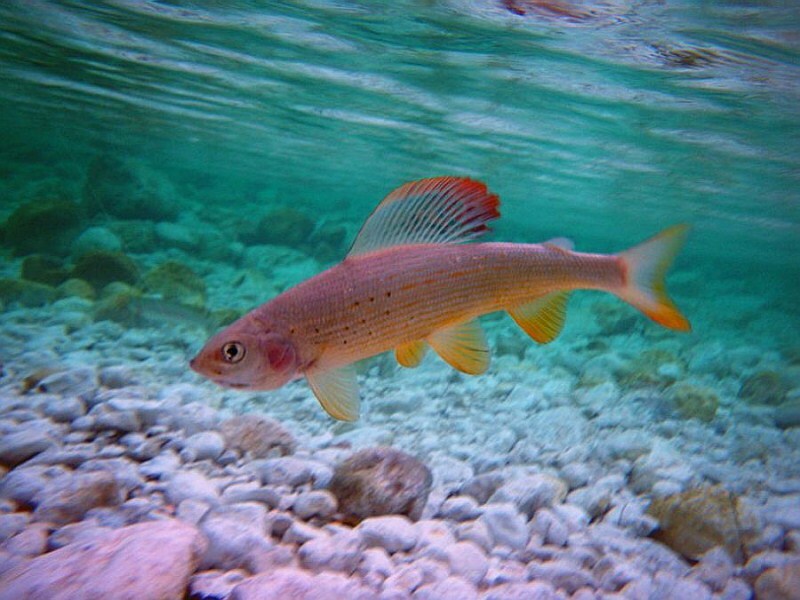 In Slovenia, two types of Grayling can be found: the Adriatic fish (from the River Soca with its tributaries) and the Sava river type. It is interesting that although genetically they are more apart then marble and brown trout, they are considered as one species (Thymallus thymallus). The observable difference is in colour: Sava graylings have black spots on the head, with an orange or reddish tail. 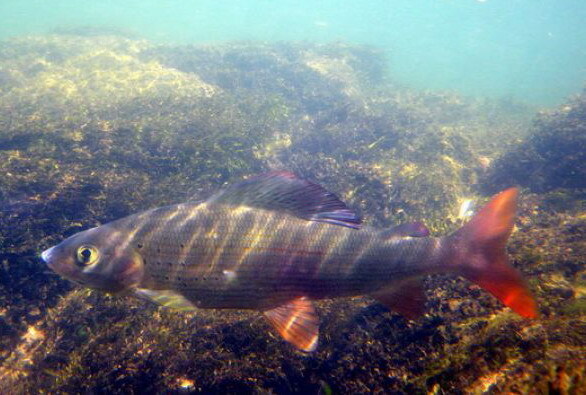 The Soca grayling are more grey-yellow in colour, lacking any black spots behind the head. The Soca tail is distinctly dark, rather than the Sava fishs orangy-red colouration.